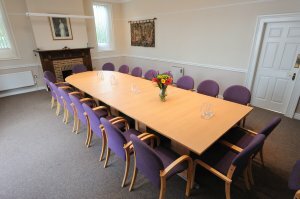 All Parish Council meetings are held in the Sports Pavilion and are open to the public, although it is at the Chairman's discretion if individuals are allowed to pass comment. At every Full Council meeting (normally third Tuesday in the month except August when there is no scheduled meeting) there is an Agenda item for Public Participation. The agenda is posted on the notice boards round the Parish and also on the website. The Annual Parish Meeting and Annual Council meetings are normally held in the Sports Pavilion during April or May. The annual Parish meeting is not a Parish Council meeting but one for the electorate and is a "Public Meeting" in every sense.